I just signed up for the California Climate Ride, a 5-day, 320-mile bike ride from Humboldt County to San Francisco this May 19-23. I am super excited – and also super amped about the challenge. Let’s start with the challenge part. Oh, yeah. Then there’s the fundraising part. The ride is a fundraiser for organizations that work on climate change issues – so the minimum fundraising requirement is $2,400. But I’ve never been someone who just aims for the minimum. So I set my goal at $5,000 – 100 people at $50 each, that should be doable, right? But it will still take a bunch of time to email, call, and remind you all to help me out. See above point on time. So this is a challenge, and it’s one I need a lot of help with. Yikes. But the thing is, to get to that “super excited” part, I think it’d be more challenging to stay home. The awesome organization I work for, TransForm, is a beneficiary this year, and as a member of the fundraising team, I’ve already been writing content for other people’s fundraising efforts. I really believe in our work – creating world-class public transportation and walkable communities in California, fighting the #1 contributor of greenhouse gases in the state, improving health and saving farmland and making the streets safer for people like my family who bike and walk pretty much everywhere – so I’m motivated to make our first year a success. 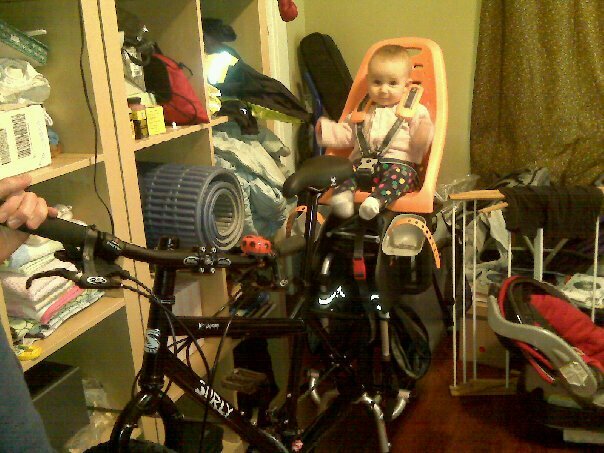 I love riding my bike, and I haven’t really been doing a lot of fun riding since 2009, when a back injury grounded me until I got pregnant and then my bike was stolen – twice – and now I have a kid and consider it a luxury to get out for an hour every third weekend. I am more than a little bit goal-oriented, so having an event to train for will motivate and inspire me and generally make me a happier person. And then there’s the kiddo. I love her to pieces. I want to give her the best future possible – so my dedication to social change has only strengthened since she arrived on the planet. I also believe that by setting ambitious goals in sports and civic engagement, I’m setting a good example for her – especially especially especially since she’s a girl. And I will admit that we just don’t get up to Humboldt enough these days. I miss the redwood curtain! So even if it’s just two nights in HumCo, the pull of true northern CA is still strong. Can you please help me with a donation? Click here to support my Climate Ride today.